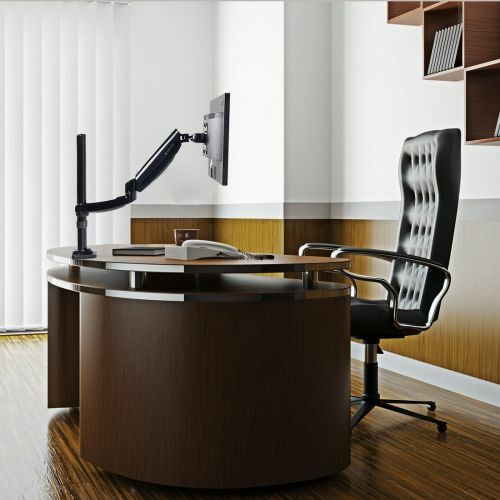 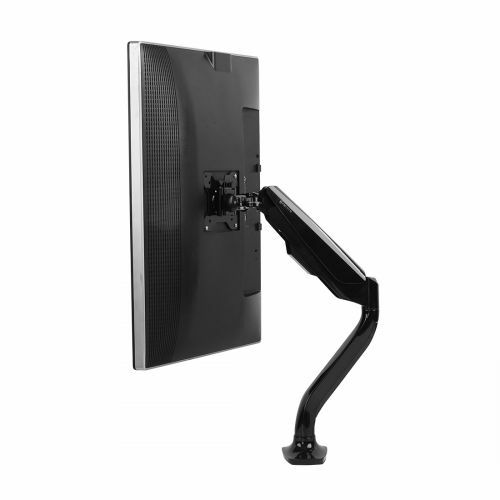 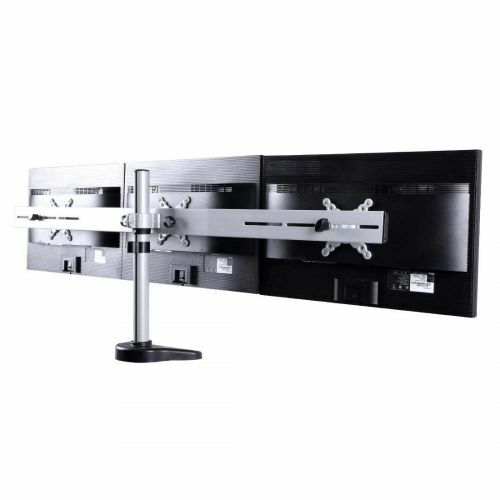 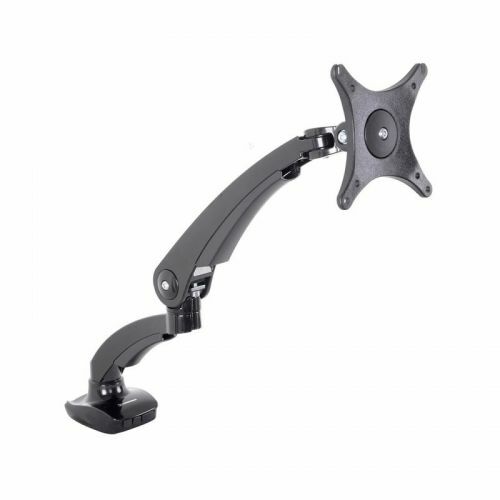 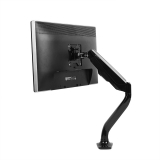 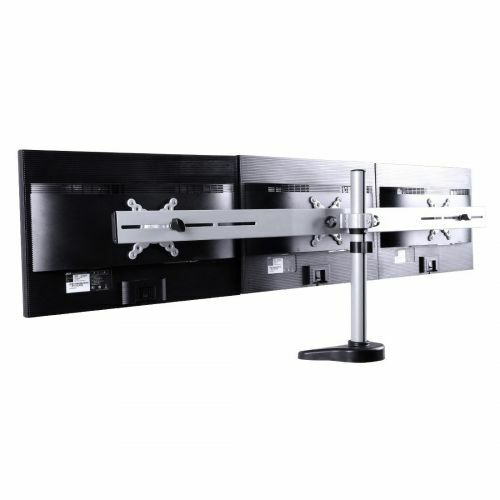 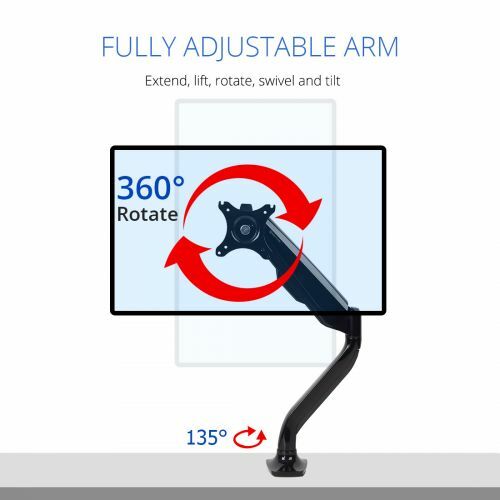 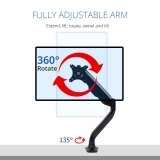 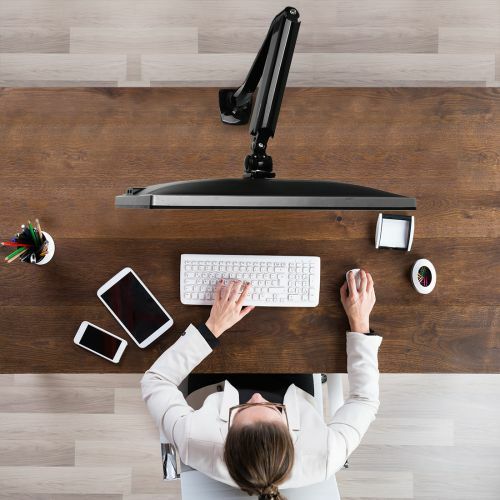 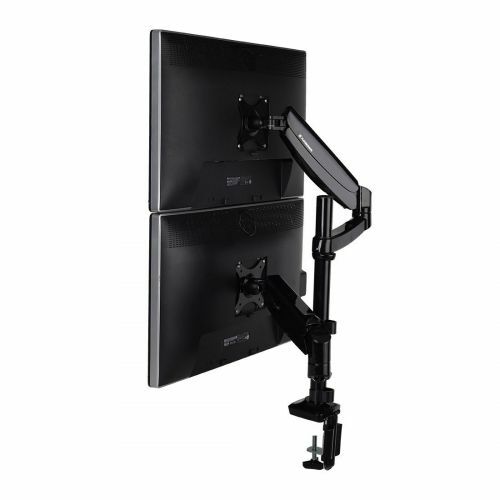 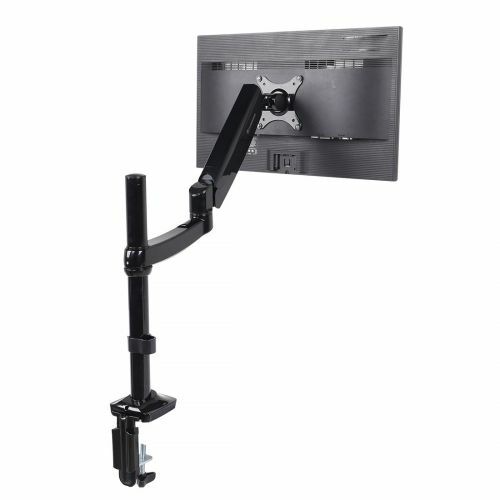 Fleximounts' monitor desk mounts utilize mechanical spring hovering system to provide smooth and effortless adjustments.These arms help increase viewing comfort and reduce eye, back and neck strain. 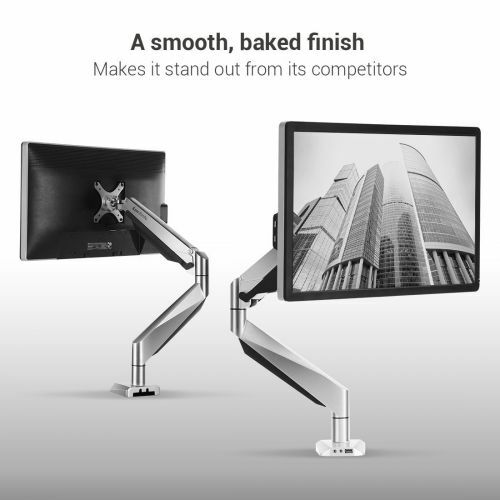 With them, you can easily share screens with coworkers, rotate displays to portrait orientation, reduce glare, save space and create the most comfortable setups for your needs. 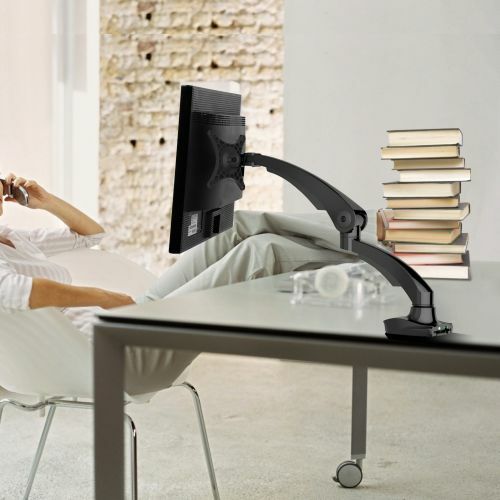 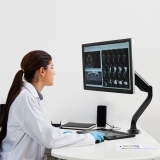 Adjustable height satisfies the ergonomic needs of more than 90% of adults. 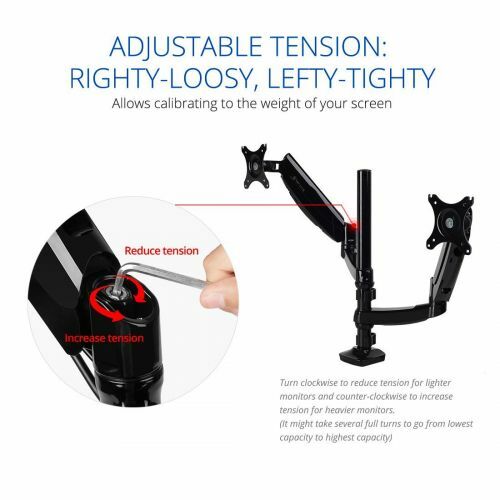 FULLY ADJUSTABLE: Height adjustment through the spring arms, swivel/articulate each arm connection, tilt and rotate at the monitor holder. 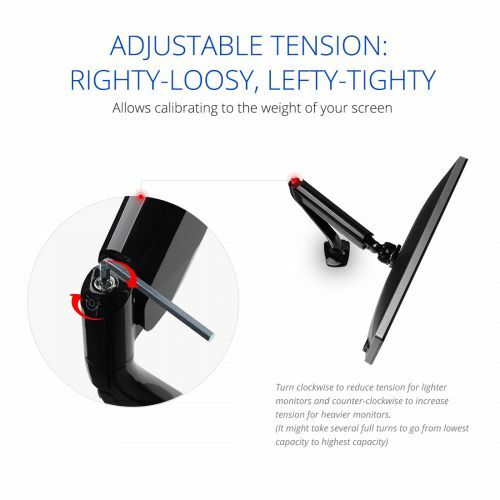 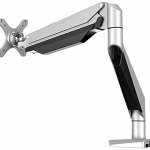 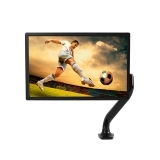 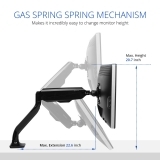 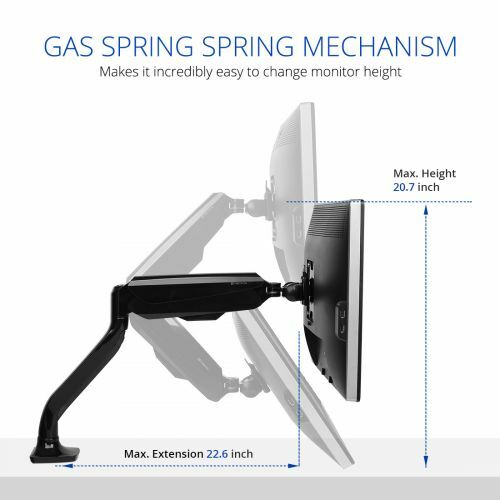 The gas spring hovering system makes it incredibly easy to change monitor height with the touch of a finger. BOARD COMPATIBILITY: Ideal for most tvs and ultra wide monitors from 24" to 36" (24, 26,27, 29,30, 32, 34 and 36 inch monitors). 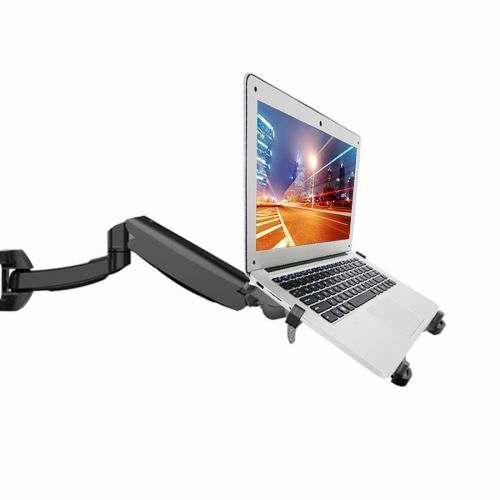 HEAVIER LOADING CAPACITY- Supports monitors of up to 6.6 to 24.2 lbs. 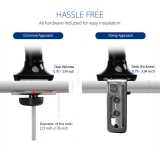 HASSLE FREE-C: clamp and grommet mount bases are included for easy and quick installation. Height adjustable C-clamp make it esier to compatiable with variaty of tables.